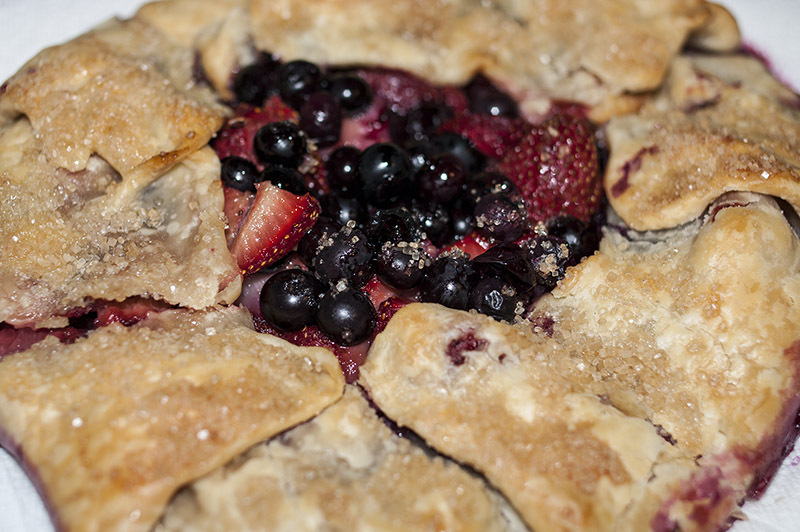 This week was a simple berry galette which was good because it is much too hot to do any major baking here. I've made galettes lots of times before, and this one turned out fairly well, though without the addition of a little flour in the filling the juices from the berries leaked all over. It still tasted good, but the bottom wasn't as crisp as it should have been. My filling was a mixture of strawberries and blueberries. Please visit our hosts this week to see their galettes and to get the recipe. Lisa of Tomato Thymes in the Kitchen and Andrea of The Kitchen Lioness. It looks delicious, leaks or no. Looks beautiful & very delicious! Yes, it has been too hot for the oven! Strawberry/ blueberry sounds like the perfect combo for this time of year. It looks delicious! I love crust, but don't make pies or galettes very often.